The Carillon Garden, a gift from the Class of 1947, is an ideal spot to meet with friends, study, or listen to the carillon in nearby Tillman Hall. 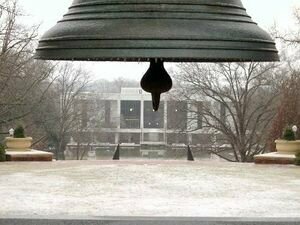 The garden was dedicated on October 18, 1987, and displays a bell which hung from Tillman's bell tower for 80 years. 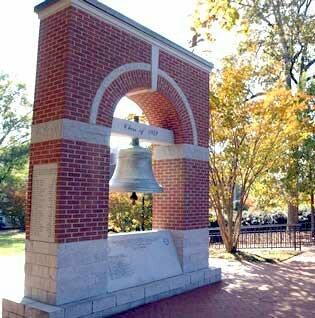 The Tillman Bell Memorial was dedicated on June 10, 1989, by the Class of 1939 in memory of classmates who gave their lives for the cause of freedom. The memorial lists those faculty members who were awarded the Class of 1939 Award for Excellence, an annual award to distinguished faculty members whose accomplishments go above and beyond the call of duty to the University, the state of South Carolina, and the nation. The Carillon Garden is sometimes called the Bell Garden. This page was last modified on 5 November 2008, at 19:57.